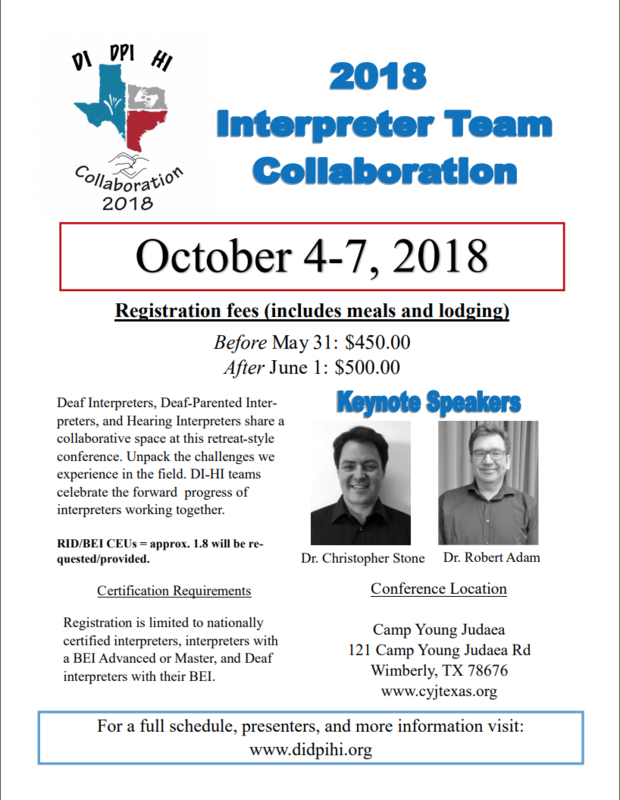 Deaf Interpreters, Deaf-Parented Interpreters, and Hearing Interpreters share a collaborative space at this retreat-style conference. Unpack the challenges we experience in the field. DI-HI teams celebrate the forward progress of interpreters working together. RID/BEI CEUs = approx. 1.8 will be requested/provided. Certification Requirements Registration is limited to nationally certified interpreters, interpreters with a BEI Advanced or Master, and Deaf interpreters with their BEI. 121 Camp Young Judaea Rd.